Diamond is the traditional birthstone for April. This one is wonderful gift for anyone at any occasion. Diamonds are made of carbon and thought to be one of the hardest substances known. The wearer of diamonds will have better relationships and great inner strength. Other benefits create balance, abundance and clarity. It is also the symbol for eternal love. Many of these diamond attributes also make it the perfect gemstone for an engagement ring, expressing eternal love between two people. The word diamond is derived from the Greek word adamas meaning invincible, relating to its hard and durable qualities. Diamonds are usually known as white but they are found in all the colors of the rainbow and black. The colors are do to impurities in the atomic structure. Yellow diamonds are contaminated with nitrogen and blue are contaminated with boron. You can read more about white and color diamonds in our learning center. The earliest diamonds were found in India. 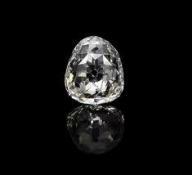 Some of the whitest diamonds were found in the Golconda region. In ancient times through the Middle Ages diamonds were thought to have come from lightning strikes. More information on these type of diamonds are in our Learning Center. By the 15th century in Venice diamond crystals were fashioned into gemstones. 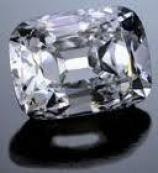 In the Middle Ages diamond was thought to cure ailments of the brain. If you heated the diamond and took to bed with you it would leach out the toxins in your body. Balance and energy were also boosted when wearing a diamond. So if your birthday is in April be sure to pick up a diamond for your protection and even if your birthday is not in April a diamond can be useful to you to create long lasting love, balance and abundance.